The military and the defence industry are no longer the only main driver of militarism. The entertainment industry – especially the game industry – because of the technology advance and closer integration/relation with the military has vastly increased the reach and influence of militarism on the wider society. The violent games are so technological advanced and psychological engaging to young males (mainly), it is now arguably the most potent cultural medium of the military-industrial complex. 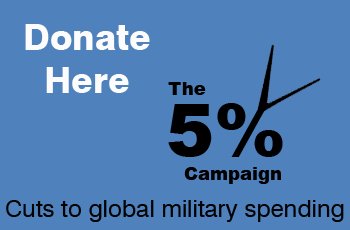 The intertwined relation between the military (politicians) and the defence contractors has achieved some degree of public exposure as a result of tireless campaigning by organisations like CAAT and War on Want (in the UK), and this remains one of The Five Percent Campaign’s key focuses. On the other hand, the entertainment-gaming industry has almost been completely ignored. Since the world, especially the West is on the cusp of becoming accustomed to the state of ‘war without end’, we need now more than ever to give a huge dose of hugely deserved publicity to the violent gaming industry on its integral role in the military-industry-entertainment complex. are now and integral part of the arms industry. The realistic modelling of the armaments in games provides familiarity so that a gamer can readily transform into a user. The futuristic weaponry coming out of game makers’ and gamers’ imagination often inspire s arms maker. spread a narrow view of the world that looks at every issue/situation as a survival game between ‘us and them’ – ‘the strong and the barbaric’. In order to create the wider recognition and acceptance of the need to cut down the military spending and divert it to more socially useful and economically productive use (eg the green economy), these aspects of the violent games must be tackled.